Please update your subscriptions, fasten your seatbelts, and hang on for tons of new posts! The beautiful redesign is courtesy of Heidi at Spitefiregirl Designs, who I met a few years ago through wedding stuff, and whose adorable little boy's birthday party you can see here. Thank you, Heidi! 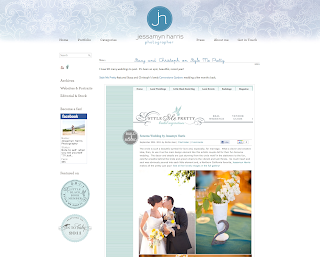 I am getting some great feedback about this gorgeous, much needed redesign.